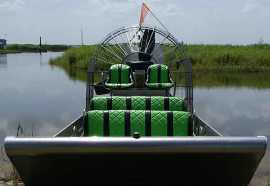 Wild Willys Airboat Tours Kissimmee! One Hour Of High Speed Fun On Lake Tohopekaliga! Located on the beautiful Lake Tohopekaliga, Wild Willys takes Orlando airboat tours to a new level of personal and intimate airboat rides in the area. Open 7 Days a week weather permitting, these guys actually advertise that they will 'Meet or Beat' the competitor's advertised price on other airboat tours in the area...And Guess what? Only 6 passengers per boat and 1hr trips at all times. With prices starting from $38 + tax (children from the ages of 3-12) up to $48 + tax per adult (2016) you defiantly get value for money Oh! Did we tell you children up to the age of 2 go free? Wild Willy and the gang are very informative during their guided tours and promise you'll come away with more knowledge of Florida wildlife in its natural habitat than you did going in. 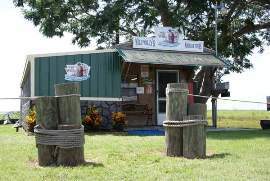 If you are the budding fisherman West Lake Bait & Tackle supplies are located at the same address, where licensed professional are on hand to show you around the area. If you have your own boat launch and recover ramps are availably. Lake Tohopekaliga has produced some top trophy catches over the years....so if its the 'Big One' you're looking for, get yourself down to Wild Willys airboat tours. Click on our fishing page for further information. Wild Willys airboat tours might not be for everyone....Remember the location is around 20mins - 1hr from the Orlando/Kissimmee areas, so transport is required check these links below for further information before you leave your hometown. Wild Willy's Homepage.....All the info & links you need before you leave home. Opening times & Airboat Tour Prices....Useful to know to pre-plan before you start your vacation..
Discount Tickets....Scroll down the prices page untill you see discount voucher!. Videos & Gallery....You'll love these! Forums...Peoples views and experiences about Wild Willys and around Orlando just choose a number 1, 2, 3, 4. When planning your trip to Wild Willys Airboat Tours, you don't want to use old news and information. We will keep updating our site via our RSS feed. Simply click onto the RSS feed above and follow the instructions. It's an easy way to stay on top of what's happening in & around Orlando, free of charge.